New York City: What Can You Do In One Day? They say you can never get bored in the great city of New York. Many have put that to the test and many have failed. One could say that it's simply an impossibility as not only are there so many things to do, see, touch, taste and experience, but the list keeps growing larger and larger by the year. It's a city where the real estate industry truly does play the kingpin role, as Manhattan is the most densely populated of all the five boroughs. Skyscrapers are scattered all around the city, some for financial corporations, others for multinational companies, and some for a new wave of small businesses. But if you come all this way, surely you need to have a plan for your days out. Quite frankly, the city may have so many things to do but you have to travel long distances in some respects. Don’t always rely on the timing of public transport either, so the bottom line is plan you days out. What can you do in just one day? New York City is notorious for it's incredibly deli shops. You can get almost anything you want in a humble delis all across the city. The tradition of the deli may have started in Europe, but American culture has taken the bag and ran with it. Now you can get Italian, Spanish, British, Polish and Greek delis but to name a few. 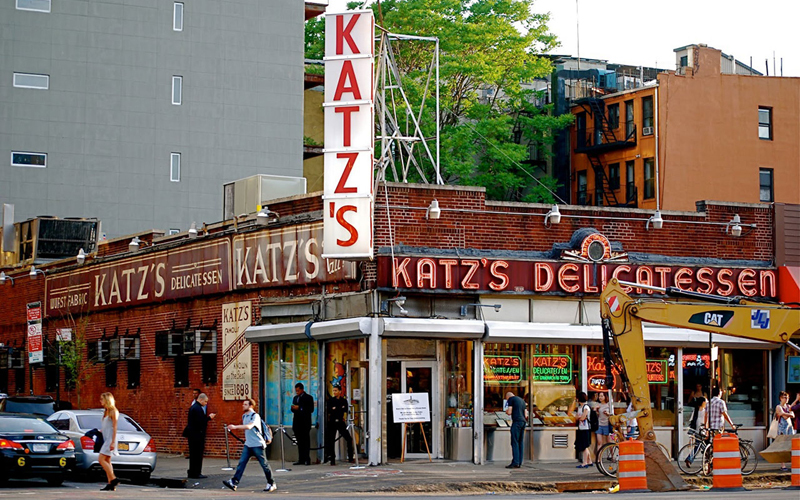 Perhaps one of the most famous is the Katz Deli that has been serving New Yorkers since 1888. Here you’ll find some of the most succulent roasted meat sandwiches anywhere in the five boroughs. They are not afraid to run out of meat either, because they will load each sandwich with meat portions bigger than your fist. They use fatty and salted cuts so their meat is very tender. Eaten with pickles and classic American mustard, their sandwiches will fill you up without issue. It's a classic diner style, with lots of people going in and out all the time in their day. Once you have landed in the city, gone to your hotel and gotten dressed up ready to go out for a night on the town, head over to the north side. 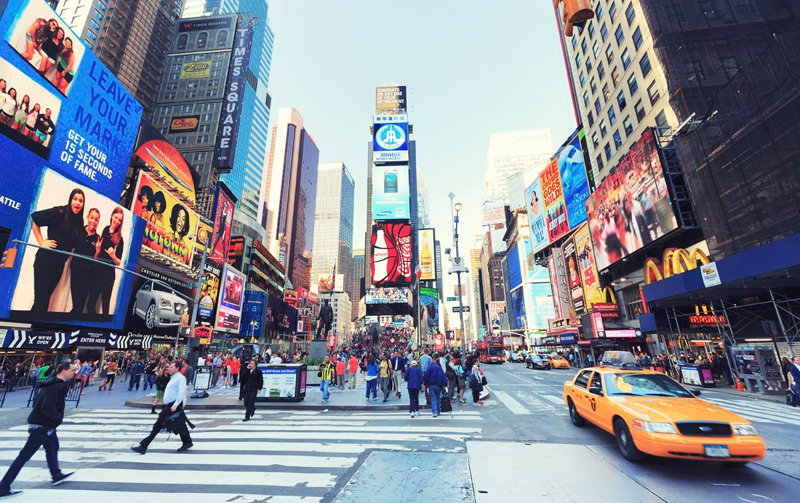 Broadway is a cornerstone of the city, for many decades it has been the focal point where aspiring actors and actresses come to learn and test their skills. You can easily book your own tickets for a number of broadway shows such as The Cher Show, Chicago, Wicked, The Book of Mormon, Waitress and Fiddler on The Roof to name a few. Tickets are on sale all throughout the year but sometimes, various shows are only performing at certain times of the year. This means you should book your tickets early so you have reserved seats when you arrive at the theater. Juicy soft meat sandwiches that have been smoked for hours, stuffed in a sweet buns of local bread is something you have to try once at Katz. Walk your meal off and then travel up to the northern side where you can finish the day off with a live performance. U.S. Daily News: New York City: What Can You Do In One Day?